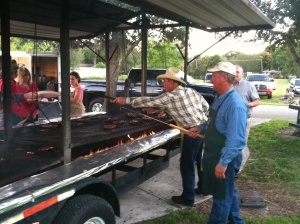 The Annual Meeting dinner continues to be one of the most popular events for Hendry/Glades County Farm Bureau. The Annual Meeting is an opportunity for HGCFB to reach out to the community and educate about the importance of agriculture and the issues we face. Popular topics of discussion are programs such as Florida Ag in the Classroom and Ag Certification. Members are updated on what county, district and state Women’s Committees have accomplished throughout the year. Local Farmers and Ranchers are recognized for their hard work and dedication to agriculture. It is an evening full of fellowship, food and fun! The annual Sugar Festival in Clewiston is a major agriculture event for the community and Hendry/Glades County Farm Bureau is proud to have an information booth set up there. The festival celebrates the harvest of sugarcane, the city’s primary agricultural crop.